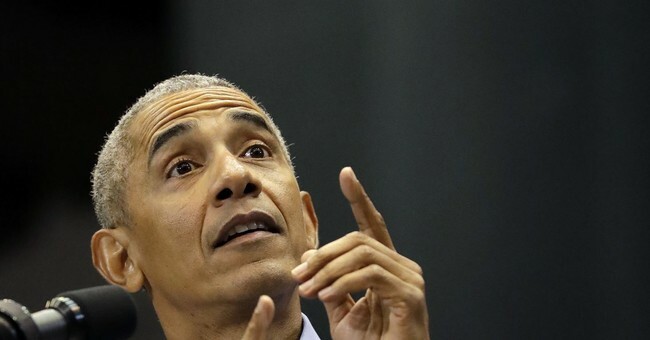 Former president Barack Obama spoke in Winnipeg, Canada Monday evening and warned that the U.S. may not be equipped to handle a crisis. He did not mention his successor President Trump by name during the speech. "If we had a crisis today, I'm concerned that we, at least in the United States, may not be in the habit of trying to figure things out in a common sense, practical way," Obama told those gathered on the first Canada stop of his "Conversation with President Barack Obama" tour. He warned against U.S. politics being based on emotion and passion, not facts. "I think the danger that we have sometimes now in our politics in the United States, and what I'm seeing internationally, is us being driven by passions, and (we) are disconnected from facts, that in fact deliberately are shielded from facts and reason and logic," he commented. "What is supported is a story of us being right and them being wrong." Obama also spoke at length about the work of his Obama foundation which he said will equip the nation’s youth to “carry forward the solutions that we so desperately need." "If we could form a network of those young leaders, not just in the United States, but around the world, then we got something," he emphasized, "if we can train a million Baracks and Michelles who are running around thinking they can change the world." The former president also praised his old second in command Joe Biden at one point, saying that "he had integrity, and he is a big-hearted person and a loyal person. And we shared a common set of values." Biden is weighing a 2020 presidential run but has yet to announce his decision.